I have just figured out how to listen to podcasts on my phone and it has opened up a new world! I love listening to it in the car. I have been following the Bulletproof coffee guy Dave Asprey. His tagline is Power Mind and Body. Who doesn’t want that? I have gone back to Bulletproof coffee. I add 1TBS of Ghee and 1TBS Bulletproof XCT oil to my morning cup of French Press organic coffee. I blend it up in the VitaMix. I really like it and it grounds me. I am using the My Fitness app to track calories. I was concerned by the amount of fat I was adding back into my diet. I am working on changing my set point. I was stuck at 145- 146lbs for awhile. Now, I am down to 143 lbs. Slow, but at least it is moving. I know it is just a number but I feel empowered, fit and lighter when that number is down. Embrace the Healthy Fats! I keep my daily calories around 1500. I save enough for a glass of wine with dinner because it makes me happy! I have been slowly increasing my exercise. Here is a great HIIT workout that you can do in a few minutes. I have started to run again. I do a lap around the fields at the end of the workout. I feel good. I am loving my New Balance Minimus Shoes! They make me happy every time I put them on! I am able to run without my orthotics which is thrilling! 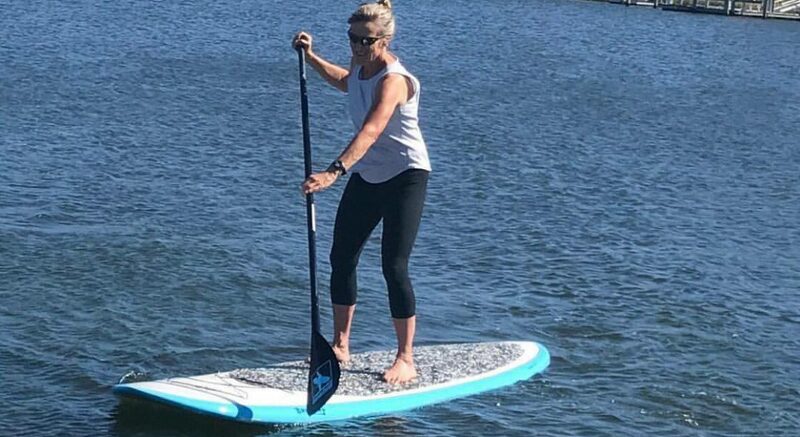 The point of all of this, it is possible to get stronger and lighter as we age, without all of the aches and pains. Here is my friend Gail. She survived OutdoorFit this morning. It included the 3-5-7 HIIT, weight training and Foundation Training for strength, endurance and flexibility. Did you workout this morning? Are you local? Are you feeling Fit and Fabulous? 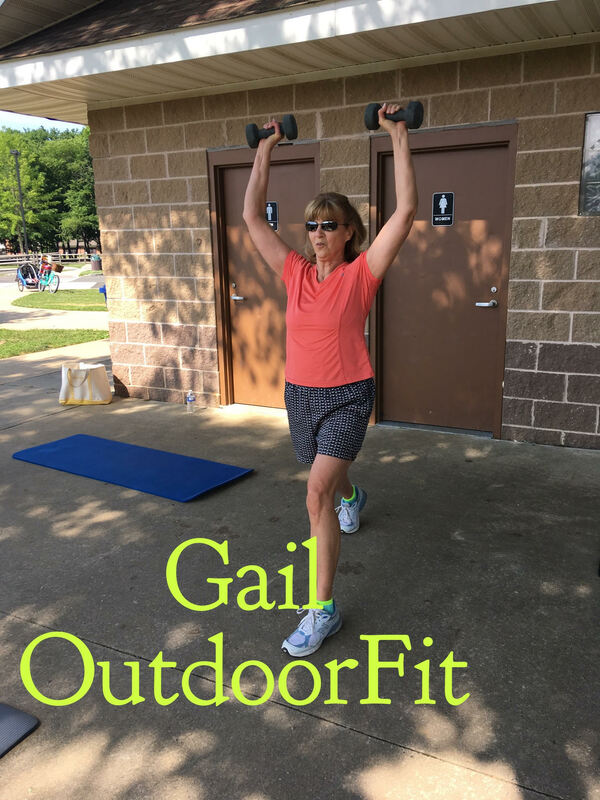 Come try OutdoorFit!